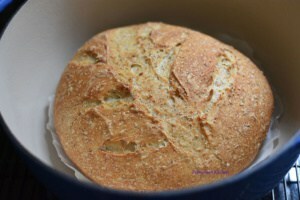 Dutch Oven Oatmeal Bread is a great way to make a beautiful crusty bread without using any steam in the oven. 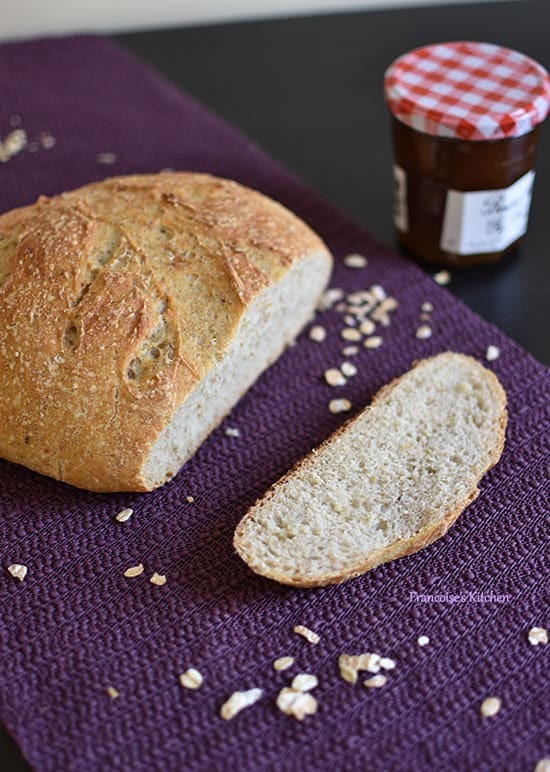 In this recipe, I used the “autolyse method”. What is that will you ask? It is nothing complicated. 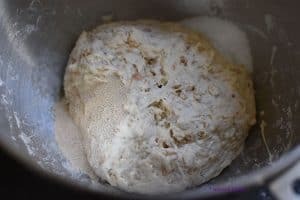 In fact, you just mix the flour, oatmeal, and water together a few minutes and leave the dough for an hour or more (up to 10 hours) if you want to improve the flavor of the bread. Then you add the other ingredients and knead. Why this technique? 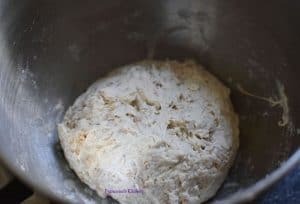 This will help the gluten develop more quickly and will give a more elastic dough, and also will reduce the length of kneading time. 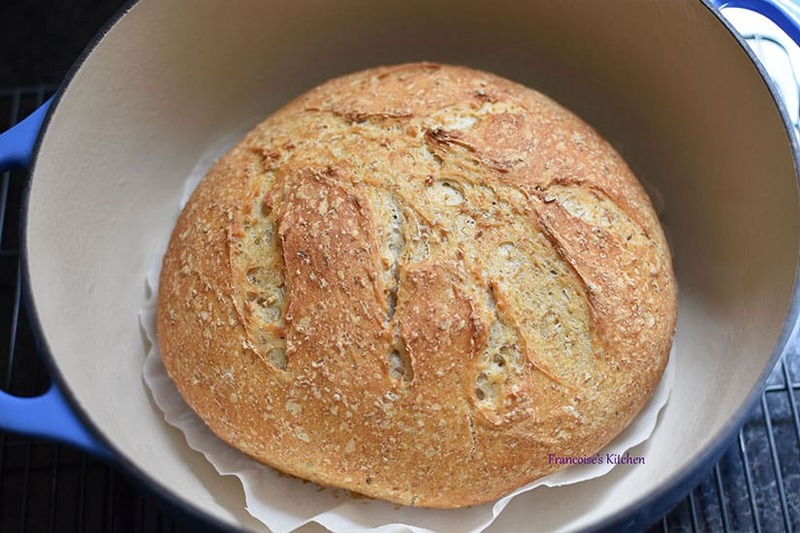 In a stand mixer fitted with a dough hook, combine the flour, rolled oats, and warm water. 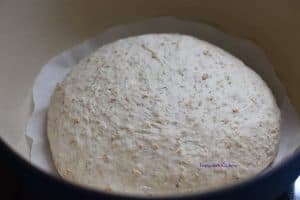 Knead for 5 minutes on low speed, cover, and let the dough rest for 1 hour (I like to put the bowl in a lightly preheated oven to avoid air currents). After this time, add the dry yeast on one side and the salt on the other side. Lightly crush the dough to release the gas and shape the dough into a ball. 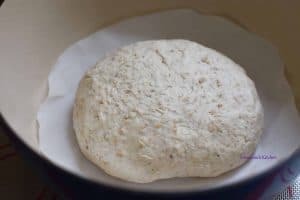 In a dutch oven, put parchment paper and place the dough on it. 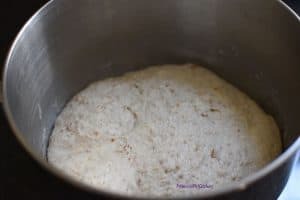 Let's again the dough raise for 30 minutes at room temperature. Score the dough with a razor blade or a sharp knife. Put the lid on the dutch oven and place it inside the cold oven. Preheat the oven to 450˚F and allow it to heat up with the pot inside for 40 to 45 minutes depending on your oven. 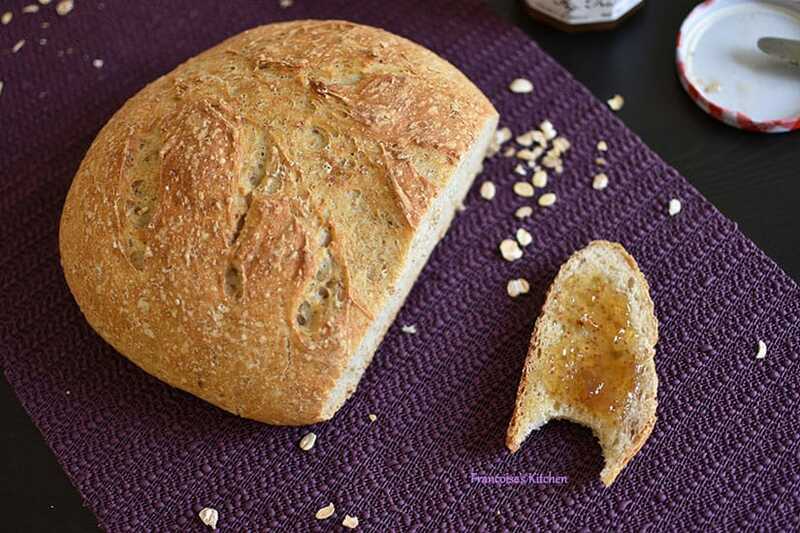 Remove bread from pot (be careful this is very hot) and allow the bread to cool completely before cutting.